The ideal setting to play “Sweet Life”: Blasting from your portable iPod speakers as you lay poolside and sip a drink in the hot sun with your friends. Frank Ocean. 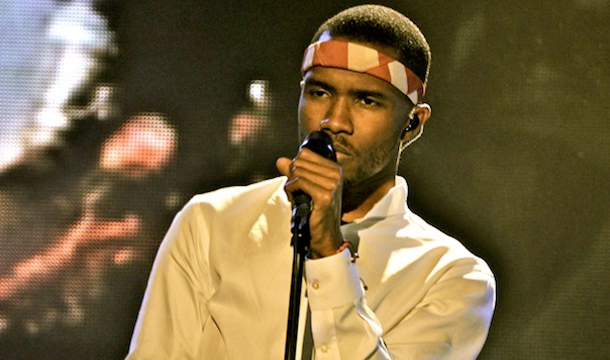 I love Frank Ocean. His mixtape nostalgia, ULTRA. became a kind of internet sensation, initially because of his crew Odd Future’s sudden rise to fame. People immediately realized after downloading the mixtape that Ocean was more than an attachment to the rap collective – he was offering quality R&B music. Currently he may be best known to you as the guy who sings the chorus on Kanye and Jay-Z’s “No Church in the Wild.” Ocean has also been making the headlines with his recent acknowledgment of his sexual orientation (it should be noted that his sexual orientation shouldn’t matter, but that’s society for ya). Today he posted “Sweet Life,” a track that will be on his first studio album Channel Orange, for everyone’s eager ears. “Sweet Life” has a classic R&B sound and a lazy, laid-back summer vibe. Ocean takes this opportunity to show off his vocal range and storyteller lyrics. Channel Orange is set be released on July 17.